The first memorable sports story I wrote for my college newspaper at UC Berkeley was about a Korean tennis player who was adopted by Swedes and grew up as the only non-white person in her town. She shared her culture shock of seeing so many people who looked like her for the first time in her life and the uncertainties she had to ask about her racial identity. During the interview, we candidly talked about being Korean in a foreign land and how it shaped almost every facet of our lives. I’ve done longer, better-written features about bigger sports figures at Berkeley over the next three years. And yet, that story remains my favorite because how personal it was for me. I put in more hours writing and editing for that story than any other because the story had a piece of me in it. I needed it to be the best possible story. It’s weird to feel such a connection to that story because our backgrounds were completely different. I grew up in Downtown Los Angeles next to Koreatown, not a small Scandinavian town. But like the tennis player, I knew what it was like being ostracized because of your ethnicity. When I was in middle school, I was the only Asian boy in my school where 90% of the students were black and Latino kids bused in from South Central to a small magnet school in Marina Del Rey. I was bullied for the color of my skin. Over time, I shielded myself from the bullies through sports, building new friendships on the basketball court or the soccer field. Even from my friends, my Asian-Americanness was never lost on them. As the lone minority in an environment of racial minorities, the kids were quick to highlight my uniqueness. My nickname on the basketball court was Yao Ming, despite me being Korean and relatively medium-sized. During kickball, my baseball-crazed Latino friends called me Big Choi, after the Korean first baseman Hee Seop Choi who then played for the Dodgers. During flag football, one NFL-savvy friend called me Dat after the Vietnamese-American linebacker Dat Nguyen. From middle school, the three most formative years of my life, sports and race has always been two topics intertwined with one another. When I started writing sports, I gravitated toward stories that highlighted the complexities of race in America. I landed on the Swedish tennis player by accident; my next story on another adoptee-athlete was not — a black soccer player who grew up in a white family while keeping contact with his biological family. It was something I wanted to write about again. Even now, my appetite for stories intersecting sports and race has not been sated. After graduation, I moved onto news reporting, but the lessons from and the allures of sportswriting has never left me. My hope as a news reporter was to write about people, especially Asian-Americans, who share the same conflicts and trepidation about their identity, regardless of whether they are good at a certain sport or not. I didn’t want to filter the worthiness of a personal story based on one’s extraordinary physical skills. But there is a different kind of electricity when writing and reporting about sports. For me, Dat Winning is an outlet for me to keep one foot grounded back in sportswriting, my first journalistic passion, and one foot forward in continuing to develop my journalistic skills. I’m looking forward to seeing how I can contribute to developing this new outlet, and how it can help me grow as a writer and journalist. At least I know I won’t be alone in this endeavor. 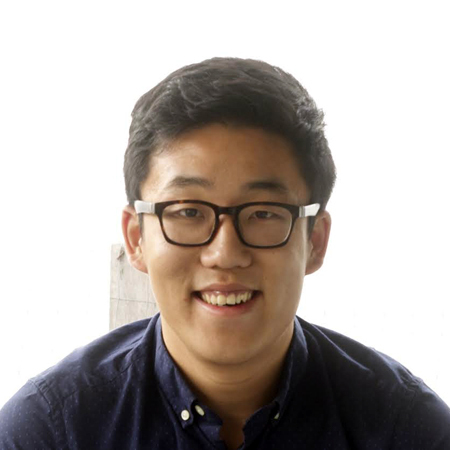 Seung Y. Lee is a freelance journalist based in Berkeley, California. A UC Berkeley alumnus, he has previously worked at the Los Angeles Times and the San Francisco Chronicle. You can find him watching Tottenham Hotspur matches alone on weekend mornings.